The 2019 Ford Edge will be arriving on the market later this year with a host of new additions that make it more appealing than ever to mid-size SUV buyers. 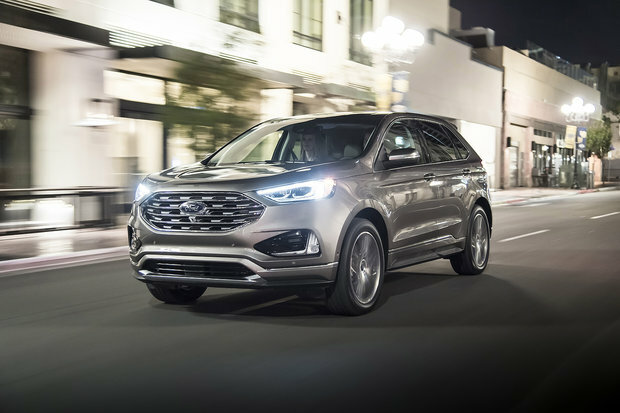 The 2019 Edge will certainly be a worthy option for families looking for room for 5, a spacious trunk, and the latest in safety and connectivity technologies. Indeed, the new 2019 Ford Edge truly shines in that department. 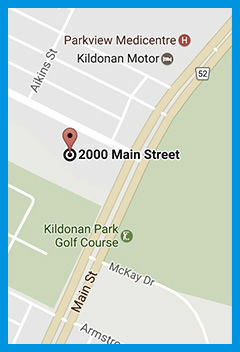 It packs a wide range of exclusive safety features including the Ford Co-Pilot360 active safety system. More on that in a second. The 2019 Ford Edge will be more efficient than ever before thanks to a new all-wheel drive disconnect system. Yes, AWD is standard in the new 2019 Ford Edge, but the mid-size SUV will have the ability to disconnect the system when the road is clear and you don’t need the added stability. The Edge gets a standard 2.0-liter, four-cylinder engine that delivers 250 horsepower and 275 pound-feet of torque. This engine is paired with an 8-speed automatic that delivers power smoothly and efficiently. A new ST version will join the Ford Edge family this year as well. Designed to stand out on a track, it remains a useful family hauler as well. 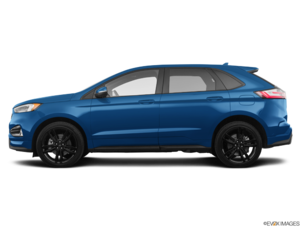 With 335 horsepower under your right foot, you’ll never be left wanting for more power in the 2019 Ford Edge ST.
As mentioned previously, the Edge is a standout in the safety department. Indeed, its Ford Co-Pilot360 system includes a wide range of driver assistance technologies such as automatic braking with pedestrian detection, lane keeping assist, blind spot monitoring, and rear cross-traffic alert. The 2019 Edge can also apply the brakes after an accident in order to prevent subsequent accidents. In the space department, there is over 1,100 liters of cargo space with all seats in place in the 2019 Edge. 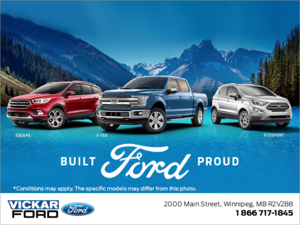 You’ll never need any more room with Ford’s mid-size SUV. To learn more, contact us today!